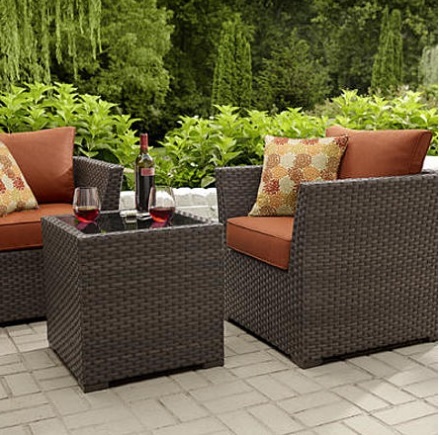 There are hundreds of accessories and furniture to decorate your patio. 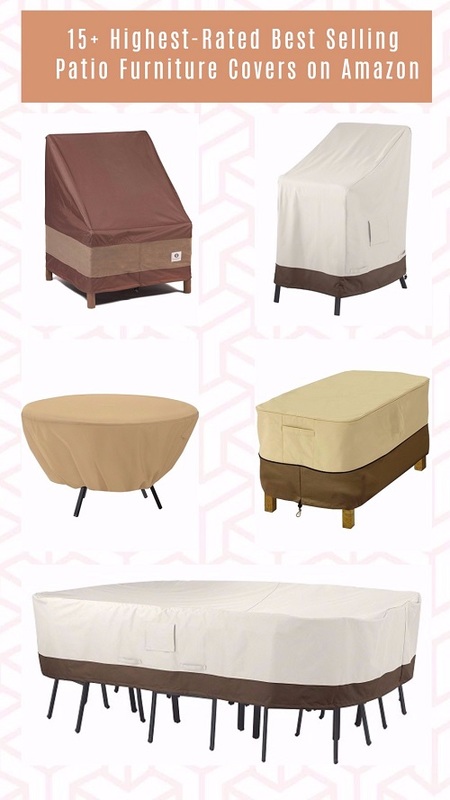 They are available in various attractive designs and useful functions to make your outdoor space feels and looks more inviting. 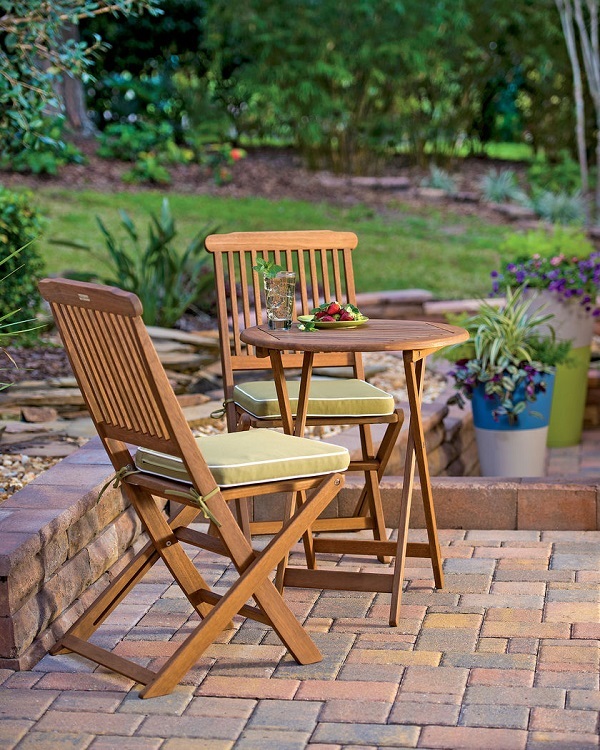 You can choose what kind of outdoor accessories which match with your patio’s style. One of the must-install patio’s accessories is an outdoor ceiling fan. It is so beneficial to keep you stay cool while enjoying the summer air in the middle of the day on your patio. 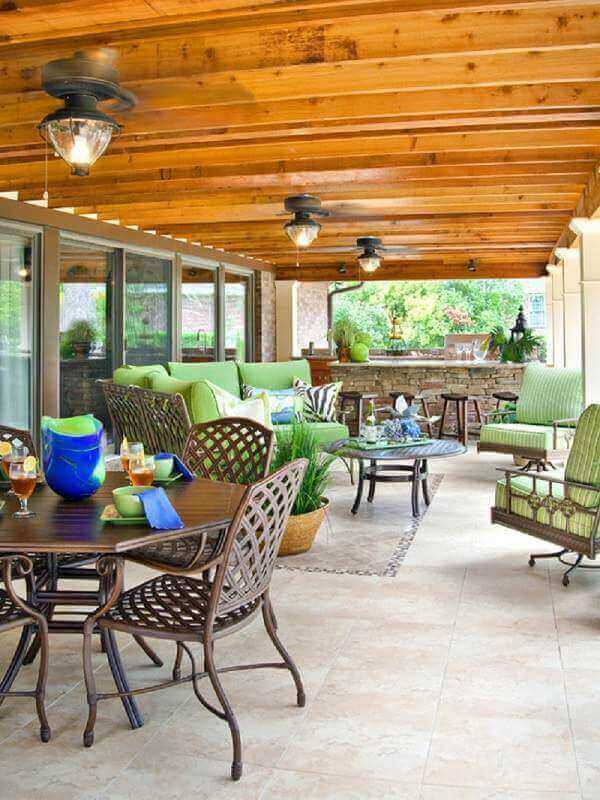 Numbers of brands like Hunter Fans, Minka Aire, Fanimation, and others offer outdoor fans for patio in various design and feature, so you can pick one based on your needs. Picking the one in a unique style and design is a good idea to give a gorgeous touch to your patio’s ceiling. Here, we have picked 13 most adorable outdoor fans for patio which not only comforts you but also will just amaze everyone. Unique and beautiful! 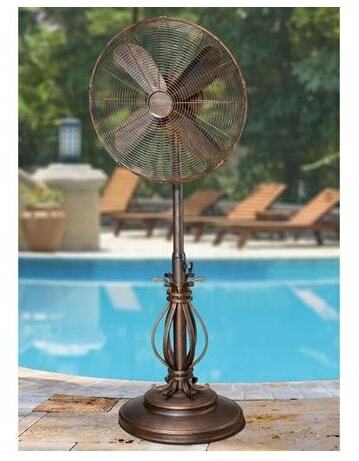 Decorating your patio with this Air Shadow fan will add so much value. The retractable fan blades will emerge from the fan base as you turn on the fan. 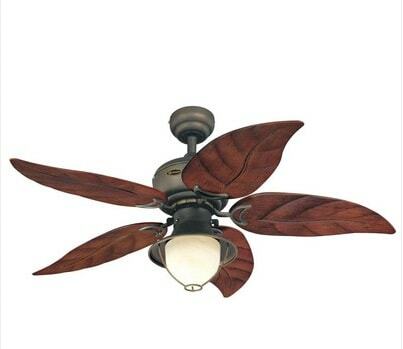 The sophisticated look of this fan is perfect to match with your elegant patio style. There are 4 colors available which are Matte White, Black, Metro Gray, and Oil Rubbed Bronze. If you prefer a standing fan than the one which is mounted on your patio’s cover, this Prestigious fan is a good choice. 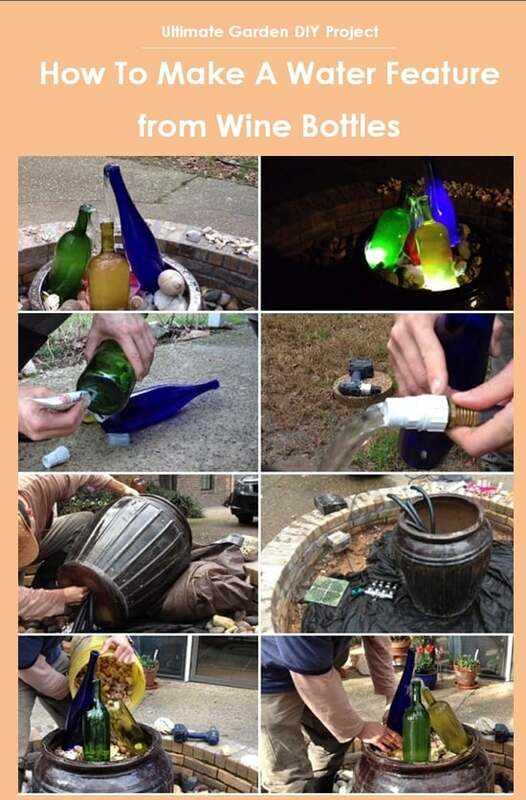 It looks classy to beautify your patio look. 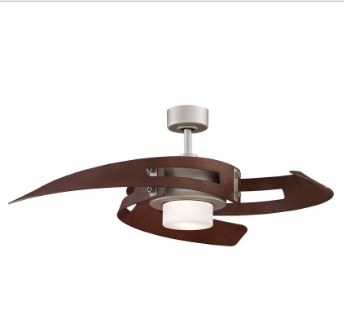 Another innovative design of ceiling fan from Fanimation which is really worth to buy. The single white frosted blade with Satin Nickel finish gives a futuristic look to your patio style. 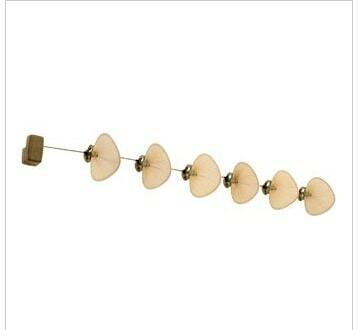 This leaf-like fans will match perfectly with your natural backyard’s environment. It features oil rubbed finish, five mahogany leaf resin blades and yellow alabaster glass. The word ‘tropical’ in this Minka Aire fan relates to the leaf look of its blades which look very attractive to place in your outdoor space. There are 3 finishes that you can choose which are Flat White, Bahama Beige, and Oil Rubbed Bronze. 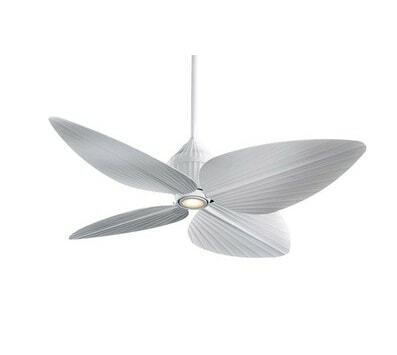 This 3 blades outdoor fan’s contemporary design goes really well with your wood-themed patio or deck. The shape of the blades are so unique and add a breakthrough look to your outdoor space. 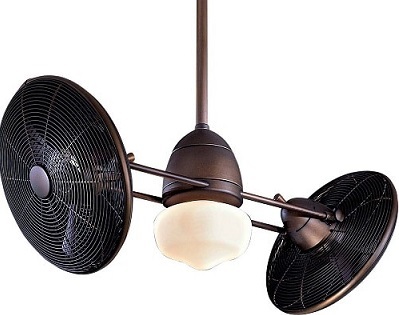 This twin fan works well for a large patio space and provides you an ultimate comfort. 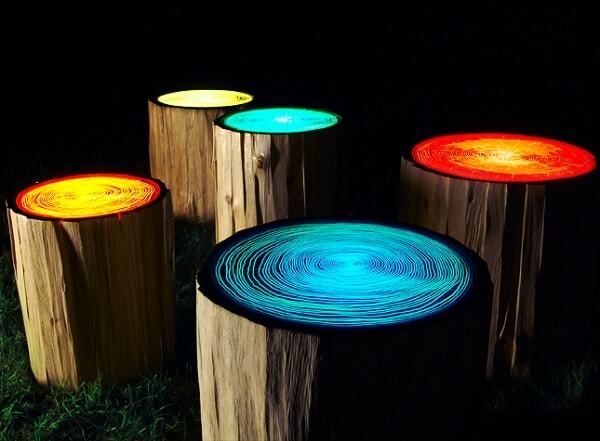 The design is absolutely unique to decorate your outdoor living space. You can choose the Oil Rubbed Bronze or Brushed Nickel finishing. 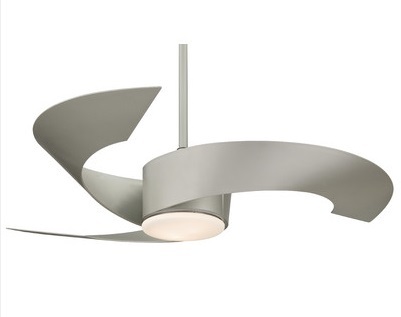 Let’s just say that this is this is the most beautiful ceiling fan from Fanimation that will stunt everyone who comes to your patio. 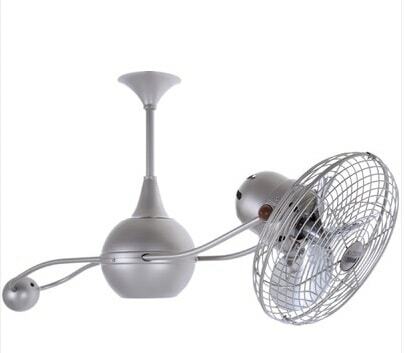 This fan is designed to be mounted on the wall or ceiling and can run up to 6 fan assemblies. 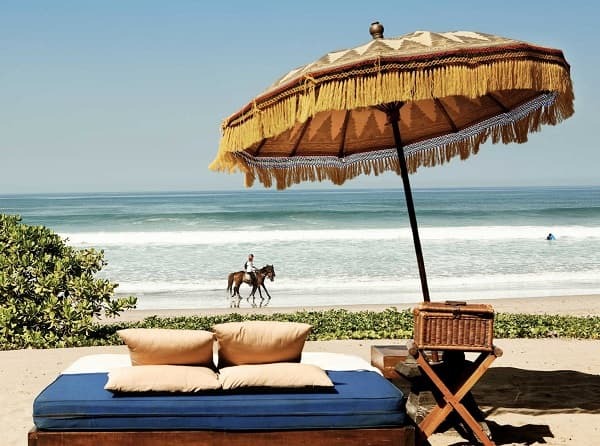 The blades of the Punkah gently sways to provide you a cozy relaxing time. 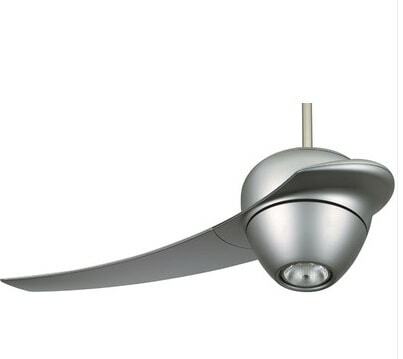 Another futuristic design of ceiling fan which only has one blade to move the air. It is such a brilliant idea of a fan that will catch so much attention once you install it on your patio’s cover. Talking about futuristic stuff, Enigma is featured in the ‘I, Robot’ Hollywood movie too! 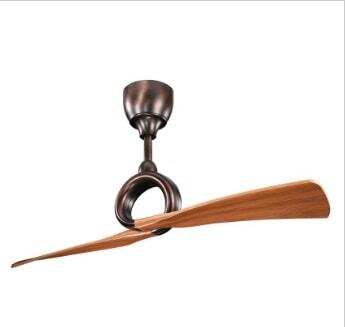 The two dark oak blades of the fan are designed beautifully which makes it absolutely classy. 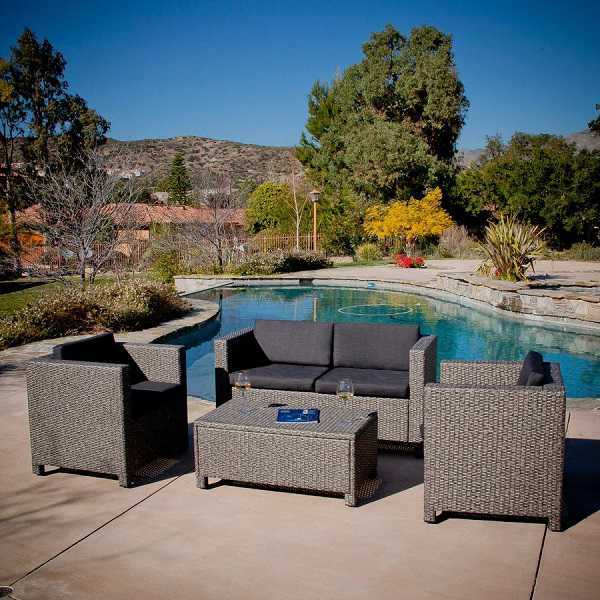 This Link collection from Kichler will give a contemporary style to your patio decor. 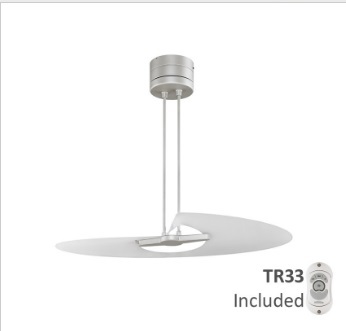 This rotating ceiling fan will not only comfort you but also turns your patio into a stunning outdoor space. 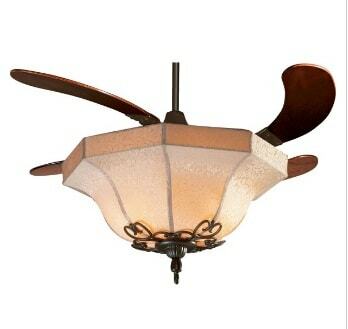 The fan shape may not look really sophisticated, but it’s still such an innovative design of a ceiling fan. 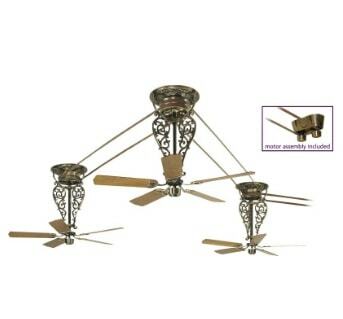 The last one is the three pieces adorable ceiling fan from Fanimation. 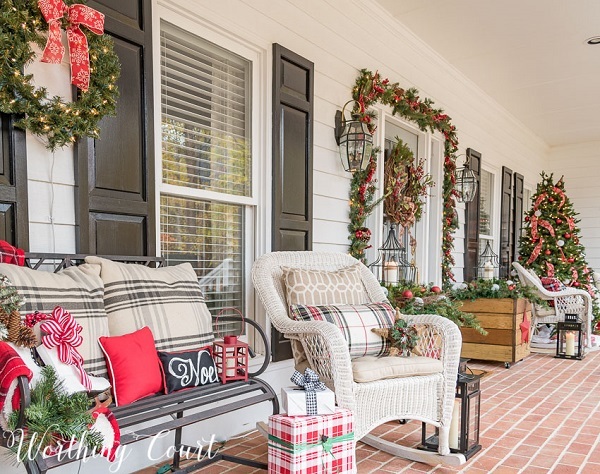 It looks classic and luxurious, turning your patio into a stunning outdoor gathering space. 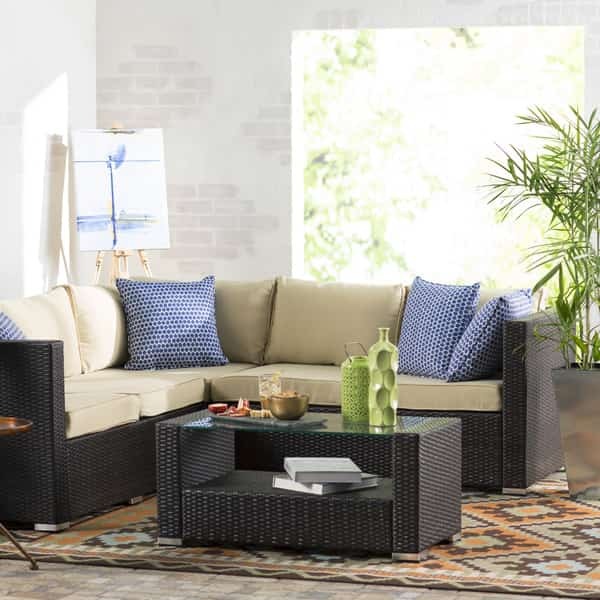 Beside those dining chairs, sofas, and tables, you also need more patio’s accessories to make your outdoor living become more comfortable and inviting. Installing the unique and stylish outdoor fans for patio will make you and other patio’s guest spend a long time comfortably while having a relaxing time.